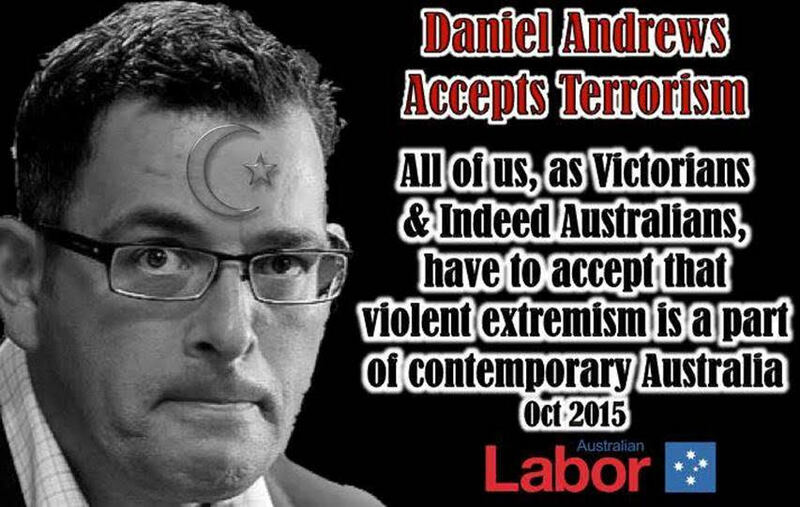 Daniel Andrews and China - Rite-ON! Labor MPs clock up 25-plus visits to China. 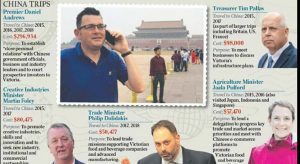 Victorian Labor MPs have gone to China at least 25 times over the past four years, racking up close to $1 million in travel bills as part of Premier Daniel Andrews’s pursuit of closer ties with the communist nation. Since Labor’s 2014 election victor­y, Mr Andrews has made no secret of his desire to court China as a trade, education and cultural partner, and has personally led four delegations there at a cost of almost $300,000 to taxpayers. Mr Andrews locked in another agreement to co-operate with China on public-private infrastructure partnerships on March 24 last year. 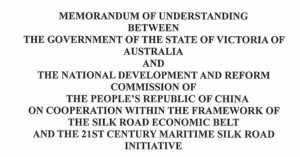 The memorandum of understanding, which was never announced by the government, was revealed in a speech by Chinese Consul-General Zhao Jian at a Belt and Road lunch in Melbourne on May 30 last year. 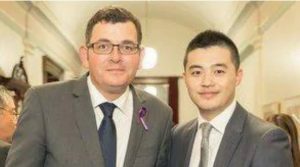 It’s not often that foreign policy figures in state elections but it does now because the Victorian government has decided to freelance on relations with China. It’s bad enough that the Andrews government has decided to enter into a memorandum of understanding with China on its so-called Belt and Road Initiative that’s way outside the responsibility of a state government, and absent the security and intelligence expertise that’s commonplace in Canberra. Andrews government decided to enter into a memorandum of understanding with China on its so-called Belt and Road Initiative that’s way outside the responsibility of a state government, and absent the security and intelligence expertise that’s commonplace in Canberra. What’s worse is they were refusing to release the document that they’ve signed Victoria up to. At first glance the BRI is an attractive option, especially for developing countries with little infrastructure. For them the prospect of loans for new railways, highways and ports is enticing, as is their belief that transit countries will fill their beaks through trickledown. But its potential for boosting local employment is limited by China’s insistence that it supplies the workers for these projects. Also, there is great pressure on these countries to reduce tariffs, thus limiting their revenue. And then there is the $US900 billion in loans underwritten by China. By some estimates, more than half the 61 countries committed to BRI projects have credit ratings below investment grades. Many of them have poor governance, unstable economies and are riddled with corruption. So why China’s risky strategy, dubbed as “debtbook diplomacy”? As Harvard Kennedy School scholar Sam Parker told the Australian Financial Review this May, “China is loaning hundreds of billions to countries that often can’t afford to pay it back, and it is going to want something in return for that money.” You guessed it: the collateral for these loans is not physical assets, but sovereignty itself. 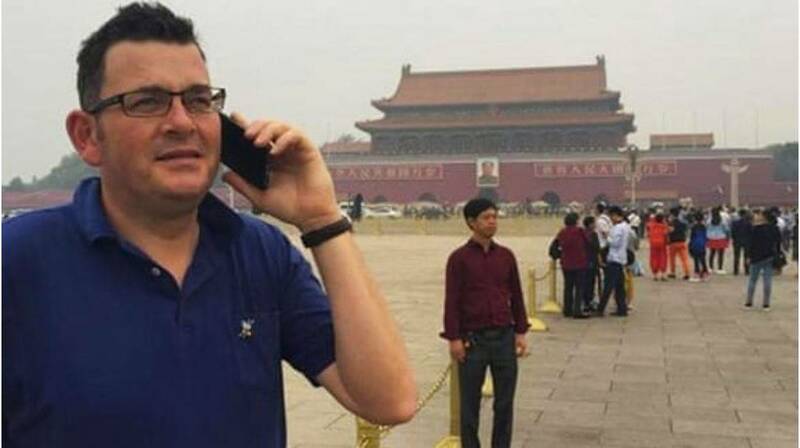 A staffer in Daniel Andrews’s office has been linked to China’s United Front organisation, which co-ordinates Beijing’s overseas influence operations, amid growing criticism of the Victoria Premier’s decision to sign up to Beijing’s Belt and Road Initiative. 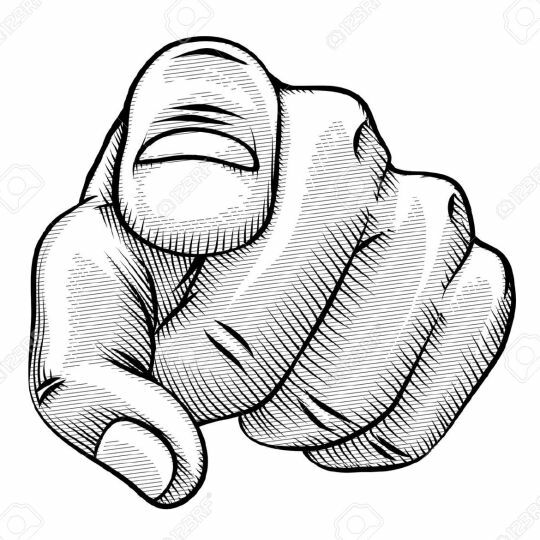 The association was opened in November 2016 by a senior Communist Party official, Ma Yongzhi, who is vice-minister of the United Front Work Department of Shenzhen. 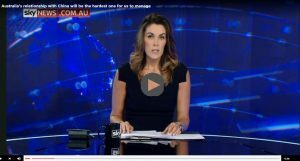 Peta Credlin explains why our Australia China relationship will be the hardest one for us to manage.